A brand new design for the domestic canopy. Made of maintenance free aluminium powder coated finish. Adaptable for many roof designs and shapes and the strongest canopy system on the market capable of spanning over 4m without further structural supports. Maintenance free all aluminium construction with powder coated finish. 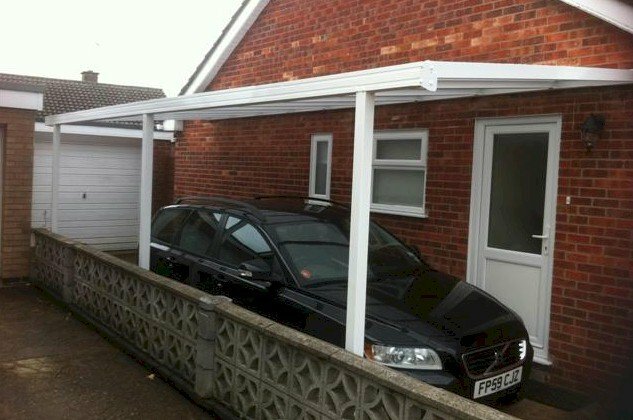 Features of the carport canopy system include: Maintenance free all aluminium carport powder coated construction Integral eaves beam/box gutter with drainage through supporting posts 16mm triple wall polycarbonate glazing as standard in either clear, bronze or opal Kits are supplied with..